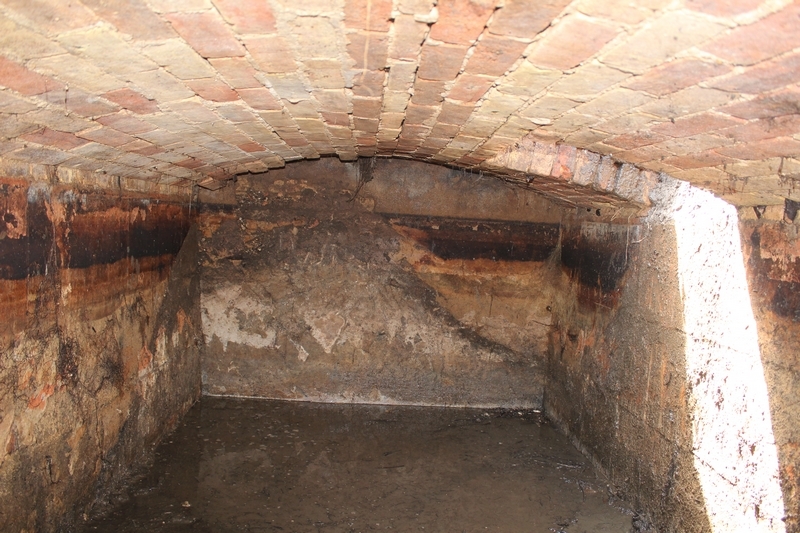 The cistern is a large brick built underground reservoir with a curved top and hatch. 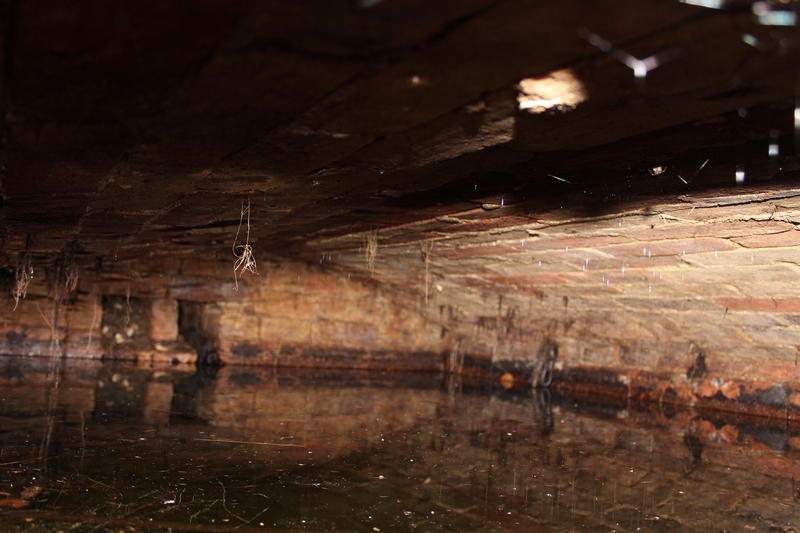 The top was covered in earth and only the hatch was originally visible. 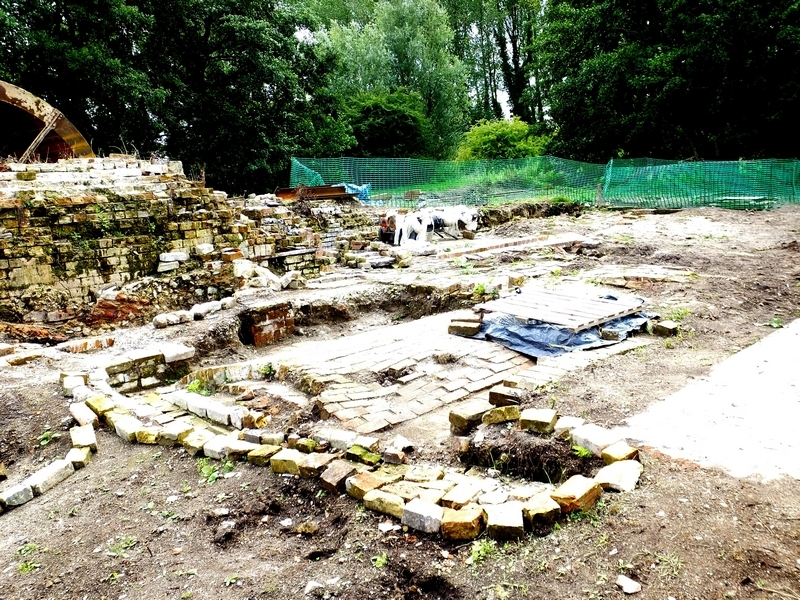 The soil over the roof was removed to reveal the arched top and some of the brick walls. 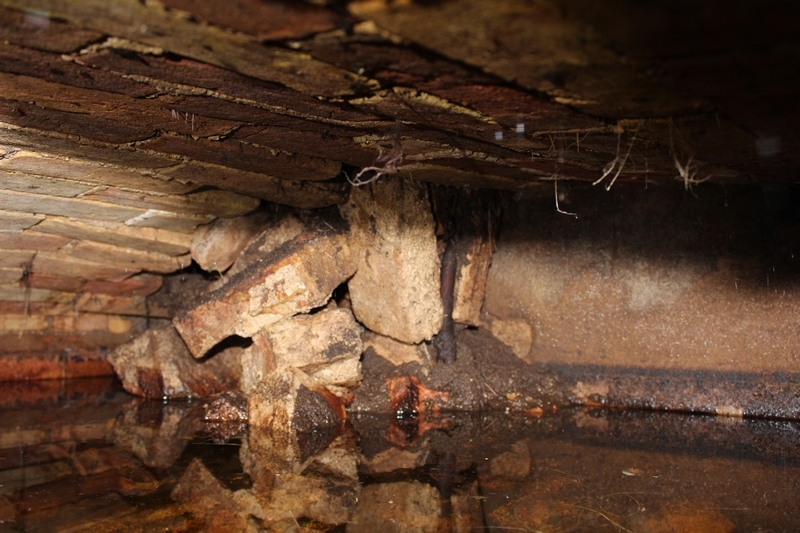 When we first looked inside, the cistern was flooded almost to the roof, and had tree roots and debris in it. 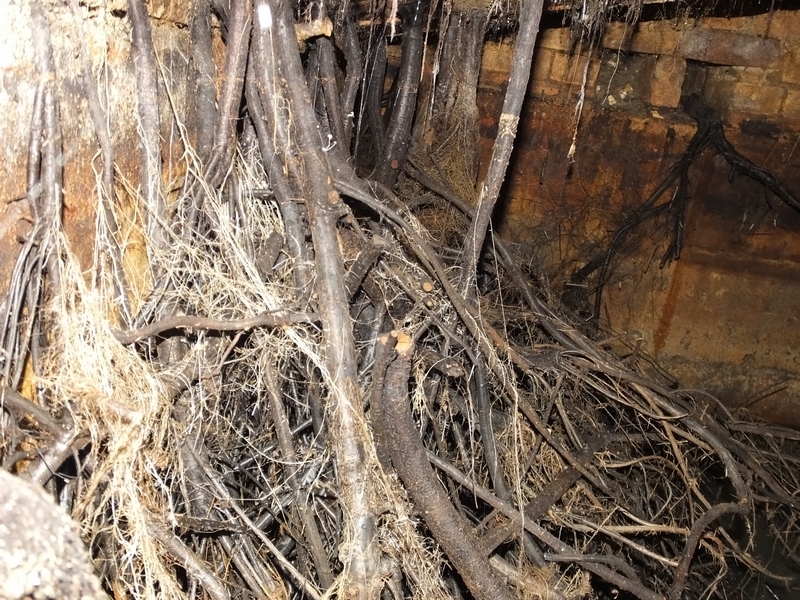 Water was pumped out and the roots cut away to reveal a large space with two inlet/outlets on the upstream side which line up with channels in the ground, and one on the downstream side which lines up with the covered trench where the fertilizer was found. There is a partial collapse on the downstream side but loose debris has been removed. 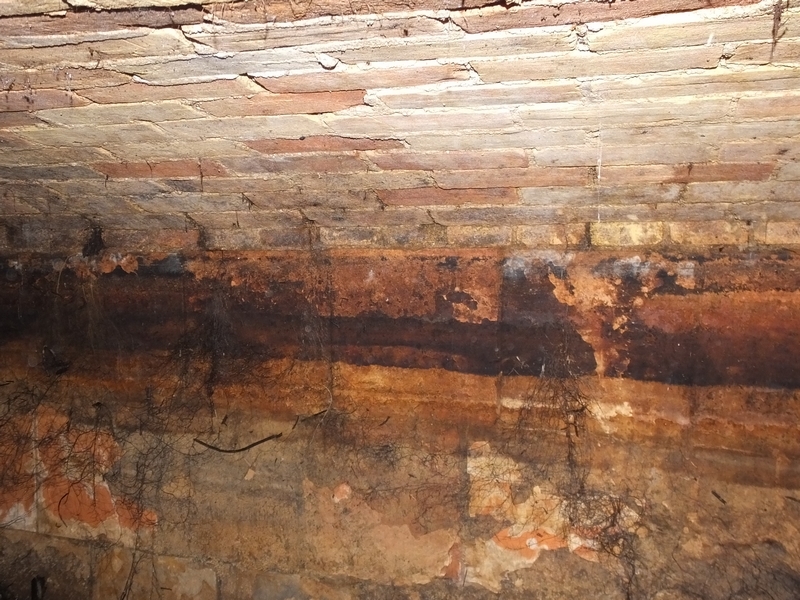 The cistern hatch shows there are two courses of bricks forming the curved top, and it has an iron plate along one edge of the hatch. 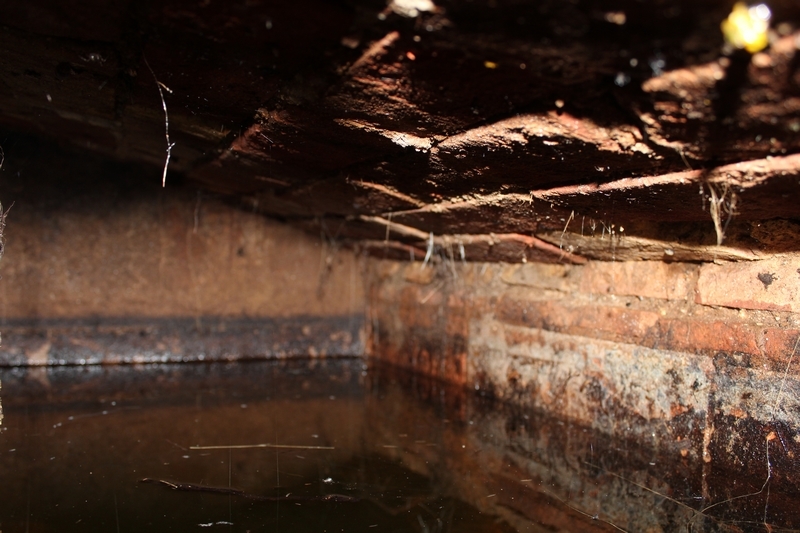 The cistern is prone to flooding from rain water so a metal cover will be made with a removable safety grille to allow public viewing without danger of falling in. This will allow easy removal when we need to enter the cistern. 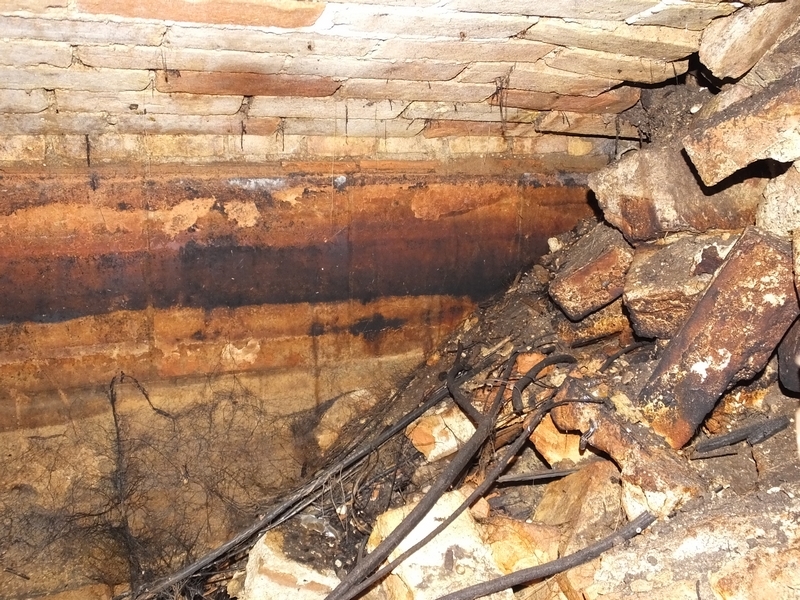 The cistern’s purpose is believed to be for supplying a steam engine. See the Chimney article for an explanation of this theory.